Before Alice McLeod met saxophonist John Coltrane she was already a respected jazz pianist who had studied with bebop genius Bud Powell in Paris and accompanied another modern jazz patriarch, expat drummer Kenny Clarke, on French television. Their fateful first encounter took place in the fall of 1963 when she was in a band led by vibraphonist Terry Gibbs opening for Coltrane’s quartet at Birdland. Instantly smitten with each other, they quickly became a couple. In the years before Coltrane’s death from liver cancer in 1967 she was an essential part of his spiritually charged music as it became increasingly ecstatic, shedding conventional jazz harmony, rhythm and form. Alice Coltrane only started recording under her own name after her husband’s death, releasing about a dozen albums of gorgeous celestial jazz from 1968 to 1978 featuring her piano and harp alongside some of jazz's greatest improvisers. And legend has it that she withdrew from music to focus on her Vedic spiritual practice at an ashram, a public silence that lasted until her son, saxophonist Ravi Coltrane, coaxed her back into the studio for 2004’s “Translinear Light." She played a final concert at the Nob Hill Masonic Center on Nov. 4, 2006 with Ravi, Charlie Haden and Roy Haynes, before her death two months later. The legend of Alice Coltrane’s silence was wrong though, and a new album by Luaka Bop fills in a richly creative and largely unknown chapter in her life. 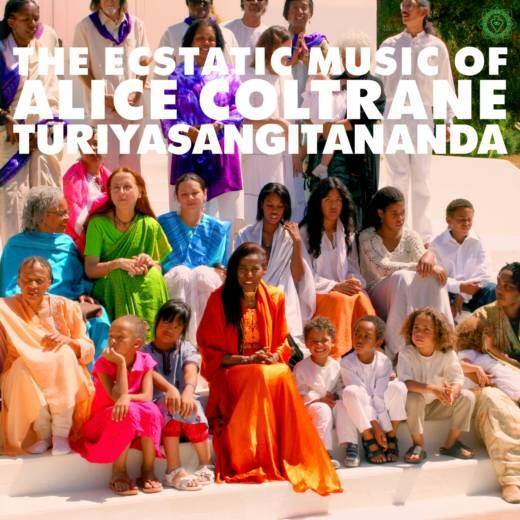 “World Spirituality Classics 1: The Ecstatic Music of Alice Coltrane Turiyasangitananda” gathers pieces she created for worship at the Sai Anantam Ashram she created in Agoura Hills. Featuring Coltrane on vocals, synthesizer, organ and harp, the music is often breathtaking, albeit repetitive and hypnotic, which was her intention. Created to enhance meditative states, you could call the music new age, but that catch-all term hardly does it justice. The album is full of surprises, as synthesizer passages give way to gospel-steeped refrains. I love the way she freely mixes styles and elements from her earlier musical incarnations as a young organist in Detroit’s Mount Olive Baptist Church and a 1950s bebop acolyte. About four minutes into the opening track “Om Rama,” Panduranga John Henderson’s vocals come in after her swooping synthesizer. He’s played organ and sung with Ray Charles in the mid-'70s, and he doesn’t shed his fervent feel for soul at the ashram door. Her vocals are calm, calming and incantatory on “Om Shanti,” where she’s joined by an echoing chorus. Some pieces stay at a low simmer, like the drone-driven “Rama Rama,” while others reach ecstatic heights propelled by chants, tambourines and hand claps (“Krishna Japaye” and “Hari Nayaran”). If Alice Coltrane sought to enlighten with her music, the Music Action Ensemble was designed to change the world. It’s a project created by Drew Foxman, which he calls “a global musical social entrepreneurship incubator.” Last year the initiative brought together an international cast of 10 young musicians in San Francisco. They worked with mentors, jazz drummer extraordinaire Eric Harland and Tunisian singer/songwriter Emel Mathlouthi, a harbinger of the Arab Spring, then spent three weeks playing together and composing songs, some of which are gathered on the new album “Foundation” (Giant Steps). What’s most impressive is that the 10 players do sound like an ensemble, an accomplishment built on the rhythm section featuring powerhouse percussionist Icaro Sá, from Salvador da Bahia in Brazil’s northeast, Bay Area bassist Owen Clapp, and Chicago percussionist/drummer Tyler Nam Berg. Sometimes the music is surprisingly familiar, drawing on the international lingua franca of hip hop and R&B, but there’s also Afropop, Brazilian grooves, classical Arabic cadences, and Pakistani folk music. The album opens with Pakastani rubab player Farhan Bogra’s “Sheen Ghar,” a sinuous melody delivered by trumpeter Will Magid and Japanese-American vocalist/rapper Aisha Fukushima, the project’s primary vocalist (who’s already a global force as an activist and educator). She trades verses with Rwandan vocalist Teta Diana on Owen Clapp’s “Beautiful,” an anthem that decries the way society eats away at the confidence of young women. “Share,” with its graceful call and response between Viana’s vocals and the horns of Will Magid and saxophonist Derek Beckvold. One of the most successful tracks is Magid’s instrumental “King Cardamom” which opens with a sharp dialogue between his trumpet trumpet and Bogra’s rubab. 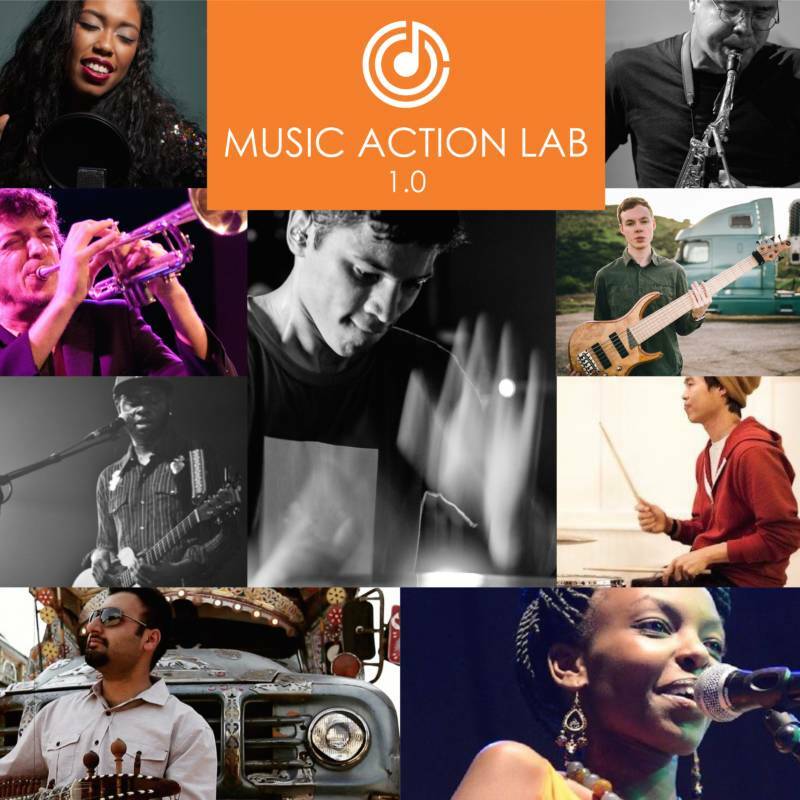 “Foundation” is the first installment from the first Music Action Ensemble lab. The idea is that each lab culminates in an album that comes with an educational curriculum to teach and spread the message of the music. It’s a utopian undertaking that could easily fall flat. But judging by the tracks included here, this project has more than delivered on its musical promise.